The phone will be aimed a the ever expanding aging population in the Australian market. There’s no specs or pricing for the phones at the moment, although the render above does show a 5MP rear camera, capacative buttons and a front facing camera. 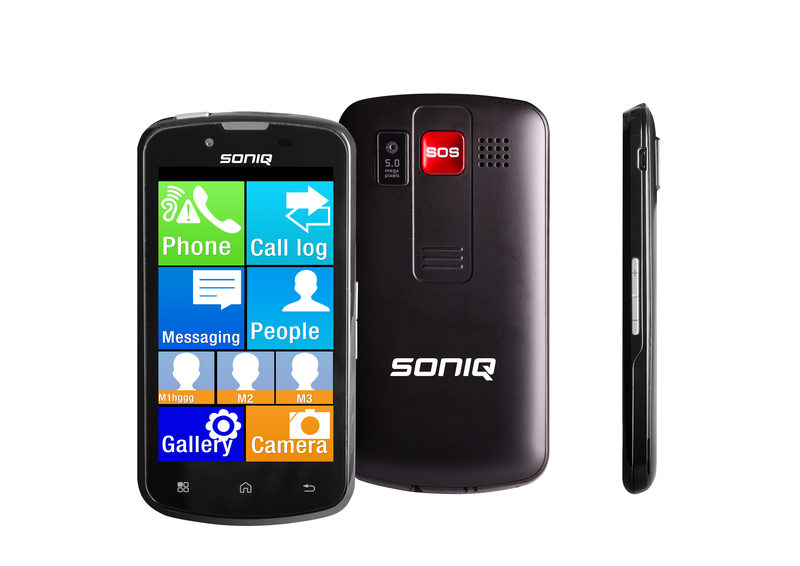 Soniq plans to release more details like specs and pricing when the phone comes to market in the second half of the year. The phone will be available as a pre-paid device, although again, there’s no information on which carriers will be ranging the phone, but Soniq seems intent on offering the phones with affordable plans. The market is rife with complicated Cap Plans and smoke and mirrors marketing that’s misleading and confusing for consumers. Older people want to be connected but they don’t want to risk accidently running up a whopping great bill. We will be offering Smartphones on pre-paid bundles at a price they can afford to ensure that they can stay connected without fear of bill shock. From the screens displayed on the render, it appears that the phone will be heavily skinned, perhaps aiming for the look and feel of apps like Big Launcher or the Samsung Simple Mode, often aimed at those less tech savvy. With their already close relationship with JB Hifi it’s highly probable they may launch in their stores, but there’s nothing been announced on that front. We’ll be grabbing a review unit of the Soniq phone when it goes live and we’ll have further information on specs, pricing and availability as soon as it’s available.